Find a vacation home to rent in Marčana from our list of vacation rental properties. Campaya has over 305 vacation homes available in Marčana, which give you the possibility to locate a unique accommodation in Marčana which completes your check-list in search for the perfect self catering vacation apartments in Marčana or vacation villas in Marčana. This holiday home with swimming pool is fully equipped and furnished. The house comprises two accommodation units. This attractive villa is situated approximately 6 km from Vodnjan on the pretty Istrian peninsula. 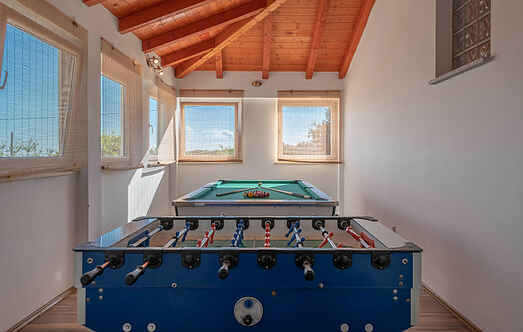 In the place Cetinici, in the heart of Istria, there is this holiday home with pool. In a small village Radeki Glavica near Pula, this welcoming holiday home with a large pool, outdoor whirlpool, sauna and entertainment facilities has found its perfect place. This beautiful, modern semi-detached house is located in a small town near the sea.